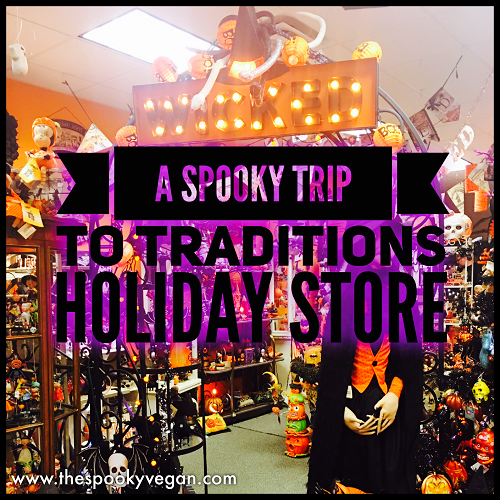 Traditions is a year-round holiday store located in Canoga Park, California, just north of Los Angeles. 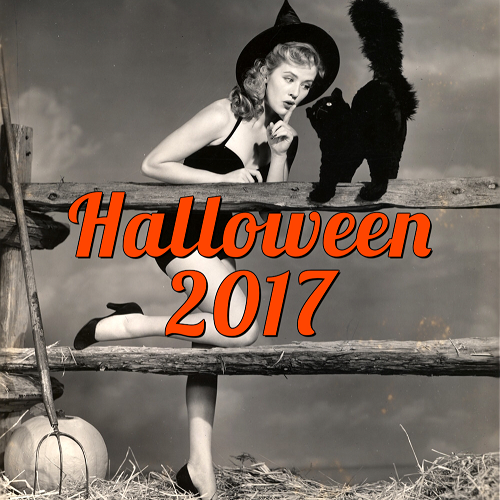 They have a fantastic Halloween section featuring vintage-inspired decorations as well as folk art, lighted decor, ornaments, and more! I've known about this store for years now, but had never visited until this past weekend when I made the 1.5 hour drive from Orange County. 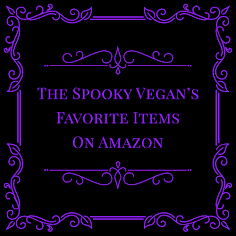 The store is the middle of an industrial part of town in a large building that houses their showroom as well as a large warehouse (they have an online store - yes, you can order their Halloween goodies from their website!). On the weekend parking was easy (they have a lot in the back or there is street parking) and the store was pretty empty. you enter through a door in the back as well). Be still my Halloween heart! The cutest witch and one of the many Halloween trees! Isn't that Spooky sign just perfect? House goals! I adored that orange wall! That headless horseman riding a black cat captured my heart! ...and a close-up of its ornaments! Swoon - I have a few of those small frames and they are so cute! I found my ghoul squad! Couple gourds (LOL, I couldn't resist)! Pumpkin pie tree!!! Gimme all the vegan pumpkin pie! 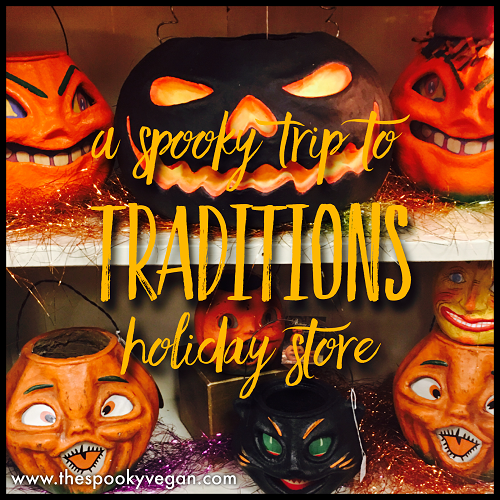 Visiting Traditions was a treat, but I found most of their items overpriced, especially since many similar items will be available at Homegoods and other stores in a few months. Besides the high prices, the only other downside of visiting was the tendency of the staff to hover. I like having my space to shop and browse, so it got uncomfortable with one of the salepeople constantly around. 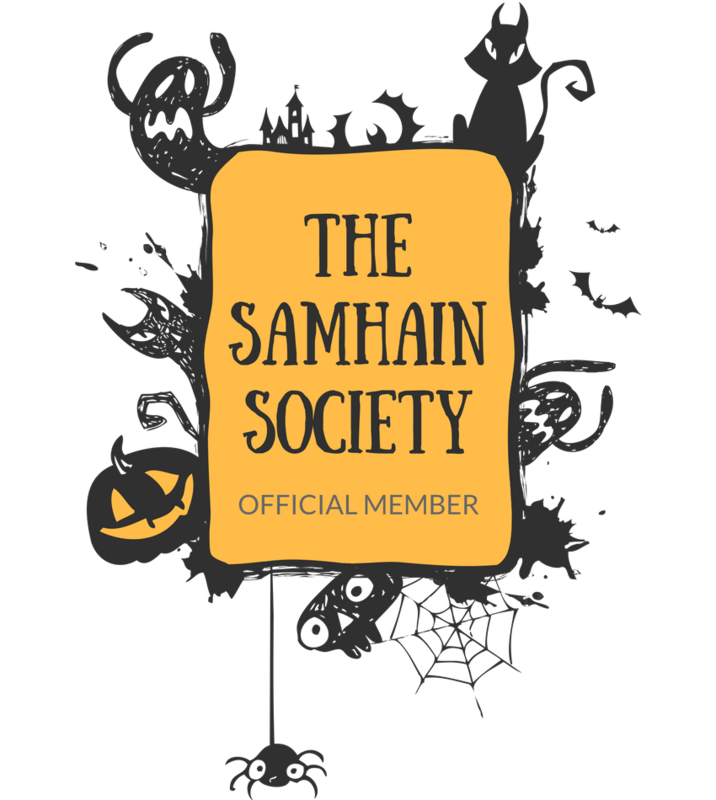 Other than those issues, it was still neat being immersed in such a whimsical Halloween atmosphere and their boo-tiful decorating job boosted my Halloween spirit! I could not resist buying these amazing plates and mug! jack-o-lantern sculpture! Don't mind all my necklaces in the background! Have you visited the Traditions store? You can check them out online HERE! I purchased the large dinner plates and salad plates, sets of 4 each, not the small dessert plates from Holiday Barn online about 2 years ago. yes they were pricey, but WOW! held off on the mugs. found wonderful wine glasses some with orange stems and some black stems, Italian, from HomeGoods! Looks bootiful together! 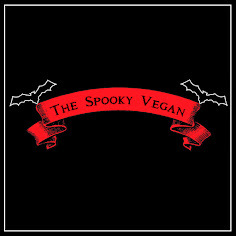 bought the pumpkin pie ornaments a few years ago along with many turkey glass ornaments and a scarecrow and glass fall leaves ornaments for a thanksvegan display. glad to see they are still available. I was THINKING about trying to go there after I land in LA. Now I'm about 1000% sure I HAVE TO! Absolutely stunning! Thanks for sharing!